The image at right is of Christine Milne, and after you read what I have here, it’s difficult to actually believe that she is a Senator in the Australian Parliament. She is the Deputy leader of The Australian Greens Party, and her Party has virtual control over that Parliament, as they now have the ‘balance of power’ in The Senate. They are using that power to pursue their own agenda, and because the current Labor Minority Government relies on the support of The Greens to stay in power, that Green control is being pursued for all its worth. Australia is currently in the process of trying to introduce legislation to impose a cost on the emissions of Carbon Dioxide (CO2) and the main source of those emissions is from those large scale coal fired power plants that provide huge levels of electrical power to keep the Country going. The Greens are using their power to impose their green agenda on the whole of Australia, and part of their agenda is to shut down those coal fired power plants at any cost, and to implement a move to their power generation of choice, those favoured renewables, Wind Power and Solar Power. In a media release yesterday, shown at this link, Senator Milne says that Australia needs to transition to 100% Renewables, and to do this as quickly as possible. Okay then, let’s do an exercise to see if something like this can actually be achieved, and keep right at the front of your mind that Milne is a Senator , and in fact a Deputy Leader of a Minor Party, and actually has staff. Why I say that is if she can’t find out these facts for herself, then she can easily get a lackey to do it for her, and then write her up a short precis on the subject. Instead, all she has done is to run off at the mouth with something so outrageously stupid, and something that will never be achieved in the long term, let alone as soon as possible, as she says. In the image below, I have listed the three most recent renewable energy projects announced for Australia. As a comparison, I have included JUST THE ONE large scale coal fired power plant, the Bayswater plant. What is the most important reference in this image is the Power Delivered column. A power plant has a Nameplate Capacity, the up front size of the plant, usually the most quoted thing in reference to any plant, because that size gives the impression of the plant being relatively large. This figure is the total power that theoretically could be generated at its maximum at one point in time. However, what is more important is not that figure, but the amount of actual power being delivered to the Grid in that area for consumption across three levels, Residential 38%, Commerce 37% and Industrial 24%. While that power is expressed in GWH, most readers would readily identify with the figure on their quarterly electricity bill, and on that it is expressed in KiloWattHours (KWH). When it comes to power plants, that total is expressed in GigaWattHours (GWH) and these are just divisions of ‘Powers of Ten’. Those power figures quoted there are in fact not something I have made up to make the plants look like they are not delivering very much, but actual figures quoted by each of those plants. In every case, those figures I have used, (their own data remember) is actually the absolute maximum theoretical total if the plant operates at it’s absolute optimum ALL the time. While this data is the maximum ‘best case’ theoretical data, NOT ONE plant of the same nature anywhere on the Planet has been able to achieve that theoretical total. Even when using their own theoretical ‘best case’ figures, it’s plain to see that these plants just cannot deliver power on any scale even approaching large scale power delivery. The Daily Operating Time on this image shows how long, in a daily averaged time, that plant will be delivering its power. This is again based on the same theoretical data as for the above paragraph. This is the Plant’s Capacity Factor, the actual power delivered versus theoretical total Nameplate Capacity power delivery worked out over a year. This Capacity factor can then be averaged out over a 24 hour period of time, and expressed as average hours in a 24 hour period that this plant will be delivering its power. The Cost column shows not an extrapolated cost per MW, but the actual stated cost of each of those plants on their own proposal. The last column there shows how much actual delivered power each plant provides compared to the total power delivered (already, and for the last 35 or so years) from Bayswater. So, adding those percentages together, you can see that for these three Plants, the total power that they will be delivering over a year amounts to just under 15% of what is actually already being delivered from Bayswater. So, again, theoretically, that means you will need SEVEN times this total to replace Bayswater, not just seven times that total, but seven equivalent plants of each of those three plants, in fact 21 plants. Look back now at the Cost column. Add them together and then multiply that figure by seven. That total comes in at $23.26 Billion. However, that’s not the whole story either, because keep in mind this is not an equivalent comparison. Bayswater supplies its power on a 24/7/365 basis, and the best case scenario above shows that you’re only going to have power available for 9 hours, and in the case of those Solar Plants, that’s only during daylight hours. So, here you have spent $23 Billion and still not replaced the 24/7/365 power that Bayswater is ACTUALLY delivering. Again, I stress that this exercise is just for the one plant. There are around seven to ten large scale coal fired plants in Australia of differing size, so now the whole exercise becomes even more ridiculous. Christine Milne, as part of the ‘talkfest’ to work out the CO2 tax, has virtually demanded that a sum of $2 Billion be put aside each year from that CO2 tax and that $2 Billion is to be to directed towards those replacement renewable power plants. Keep in mind also that the Government is subsidising the construction of these new plants to the tune of half that up front cost, so if all went to plan, then there will be enough money to start construction on those 21 replacement plants after 6 more years of this Tax being in place. Also keep in mind, that if everything went exactly to plan, it is going to take 6 to 10 years to get each plant off the ground to the point where it is actually delivering power. I have detailed analysis of each of those named renewable power plants at the following links, and, as you read each one, be distinctly aware that we are told that this is the way of the future. This Wind Farm will be constructed on The Darling Downs in Queensland, near Toowoomba. They quote a ‘best case’ theoretical total Capacity Factor of 38%. Not one large scale Wind Farm on Planet Earth has yet achieved that over any 12 Month period of time. The current World average stands at 20%, or just under 5 hours a day, and in the U.S. which currently has the second highest number of wind towers, mostly the most recent technology, their yearly output average is just under 25% or around 6 hours a day. It is hoped that this plant, being constructed in stages, and not even started yet, could be delivering Power as soon as 2016. This plant is a Solar Trough type of plant and instead of using molten salts as the compound, it passes water through the pipes at the focal point of the mirrors, boiling this to steam directly to drive the turbine/generator complex. This plant also has a natural gas fired turbine as on site backup, but they are restricted in the use of this CO2 emitting process to add just less than an extra hour a day of power. This plant says they will have a Capacity Factor of around 25%, again considerably better than for any equivalent plant existing on Planet Earth. Again, this plant is also not even started yet, and they hope to have power being delivered by 2016. This plant again quotes a theoretical Capacity Factor of 31%, which, strangely. is even higher than the best case theoretical value for a plant of this type. The best result anywhere on Earth has a PV plant delivering only 23%, and the current World average is closer to only 15%, which translates to only three and a half hours of power a day. This plant has also not been started yet, will also be constructed in stages, and they hope to start delivering power in 2016. 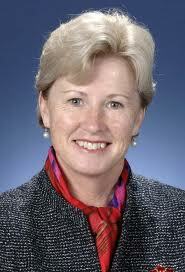 Be fully aware also that this same Senator Milne is telling everyone that there is such a thing as ‘Solar Baseload’, as she calls it, a Solar Power Plant, that she says can deliver power on that 24/7/365 basis. This form of power generation is similar to the Chinchilla Solar Dawn project, only it uses Molten Salts as the compound. Those salts can be kept in a molten state for a period of time longer than the Sun is in the sky. At enormous added expense, those molten salts are diverted to stay in a molten state for as long as possible. The trade off here is that for a plant of a Capacity of 250MW, then all that can be generated as an absolute total is 50MW, and this can only be achieved for a maximum of 18 hours, so even a plant of this type cannot supply a Base Load Requirement. This is explained in the following Post. As is plainly obvious, this exercise shows up the stupidity of the comments from Senator Milne. Her followers blindly believe every word she says, and, based on that, there are people that actually believe that something like this can be achieved. The above exercise was carried out just for the one large scale coal fired power plant. To replace all the coal fired power currently supplying Australia, you will need to do this whole exercise 14 times, times the 7 times for each case, hence $325 Billion, and you still only get power for 9 hours a day. See how ridiculous the whole exercise becomes. That’s almost 300 plants in total, so this small start amounts to just 1%. At Senator Milne’s $2 Billion a year, this could be done by 2090. Senator Milne, are you feeling a little sheepish yet? Notice then how Senator Milne wants to be rid of all CO2 emitting power plants, and that also takes into account those natural gas fired Plants as well. Gee, Senator Milne. That’s 92% of all Australian power by consumption. Senator Milne, this is the rankest stupidity I have ever heard. The pity is that you won’t even bother to read this, or even to have it brought to your notice, and you’ll still believe something like this actually can be achieved. Well, Senator, I’m afraid it will never be achieved, no matter how much you talk it up. You can go flat out on constructing just the plants to replace this one Bayswater, and if by the sheerest fluke you find the money for it from people willing to sink their money into this madness, and even if all of them actually are constructed, and they get it done in record time, even after all that, Bayswater will still be humming along, day in, day out, delivering power that these renewables can only ever dream of. Bayswater has a life expectancy of 50 to 75 years, and the very best you can even hope to get out of one of these renewable plants is 25 years tops, so then the whole exercise needs to be multiplied by three. See how ridiculous all of this is? Senator, I really do think it’s true. If you actually believe something like this can be achieved, then you really are ‘off with the Pixies’. Why don’t you try to get the facts in place before engaging your mouth. With further talk now of a timeline for the closing of the Hazelwood Plant in Victoria, I’ve added this graphic for Power replacement for that plant, which supplies 25% of Victoria’s total power requirements. The multiplier here is 5 times, so add the cost together for the three Renewables and then multiply that by 5, and the total cost comes to $16.6 Billion. You still only get power for the same 9 hours a day, so again, the comparison is not realistic, because those renewables still cannot supply power for that 24/7/365 absolute requirement.